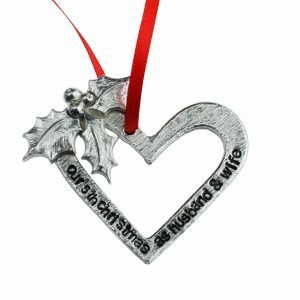 Personalise your Christmas tree this year with this holly and ivy affixed heart. 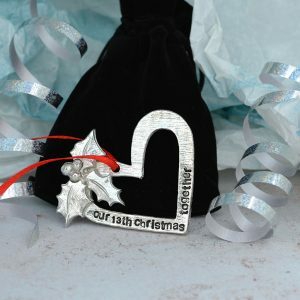 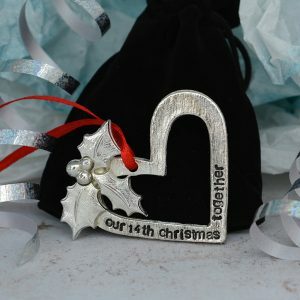 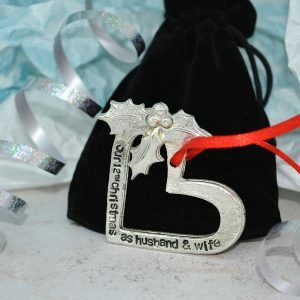 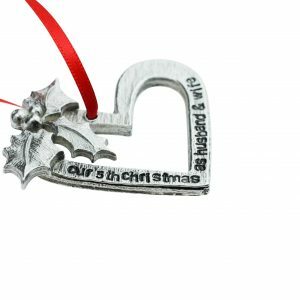 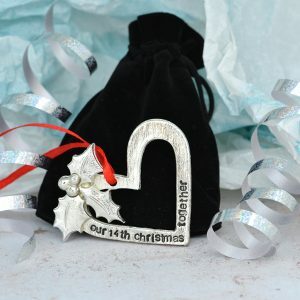 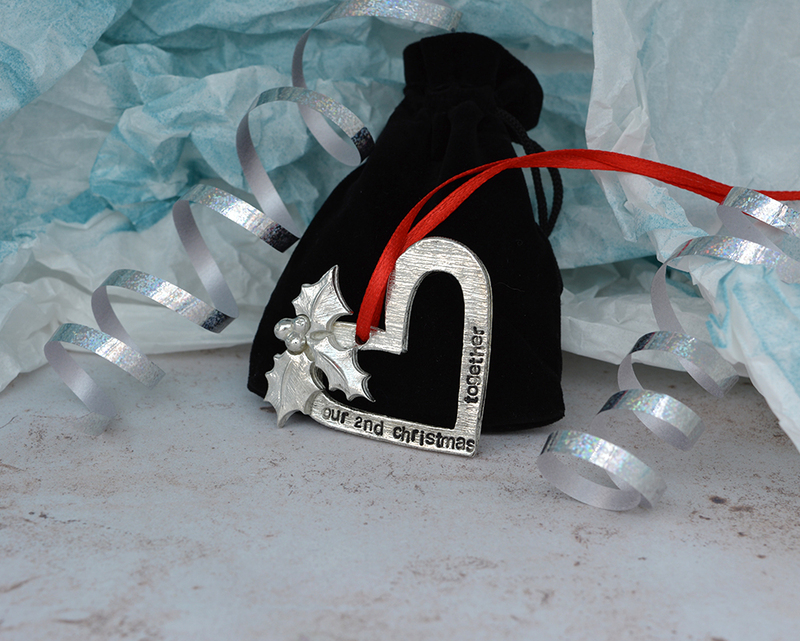 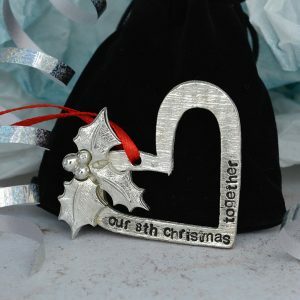 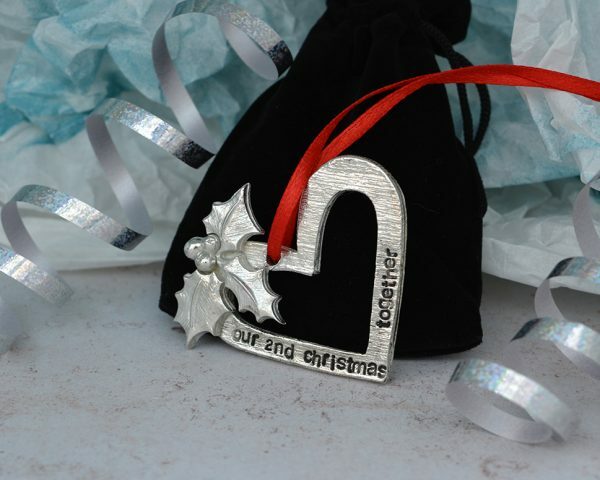 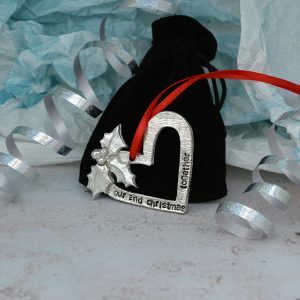 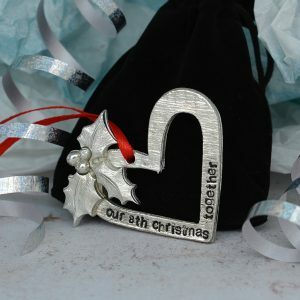 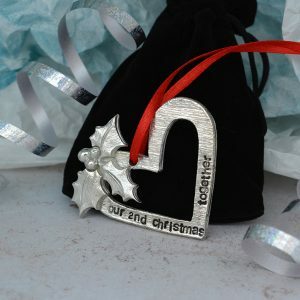 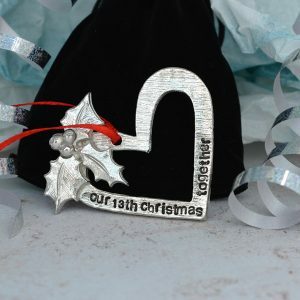 Celebrate your second Christmas together with this stunning hand crafted decoration, each heart is handmade and uniquely stamped. 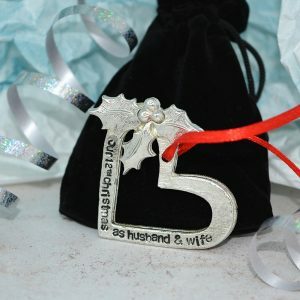 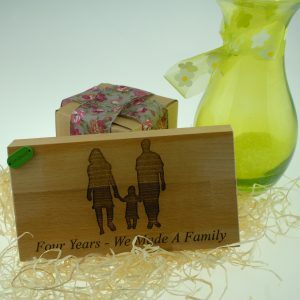 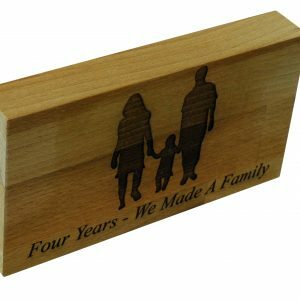 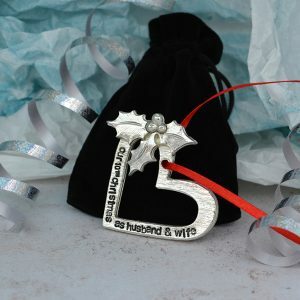 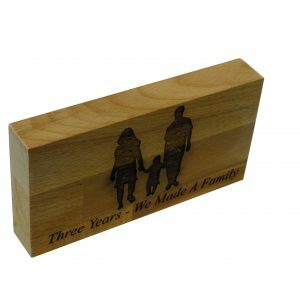 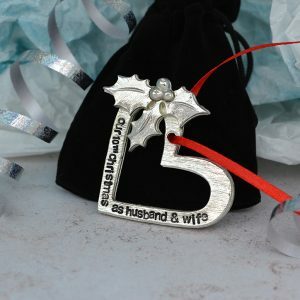 This gift is a unique twist on personalised Christmas decorations, also available in “Our 2nd Christmas as Husband and Wife“.